You create a Snapchat account and choose a goofy username, build your follower count, and then all of a sudden realise that you don’t like your username anymore. That brings you here — to try and change your Snapchat username. We hate to break this to you, but it is not possible to change your Snapchat username. Snapchat claims that this is for security reasons and that means you will have to create a new account to get a new username. 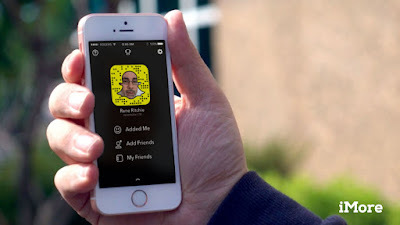 Yes, all the hard work you put in to build your Snapchat following will have to be done again if you absolutely must have a new Snapchat username. However, you don’t have to delete your Snapchat account. If you do that, your old username will be gone forever. You can simply create a new one and tell your followers to add you there. Here’s how to create a new Snapchat account. 1. Download Snapchat on Android or iPhone. 2. Tap the blue Sign Up button. 3. Fill your personal details and tap Sign Up and Accept. 4. Now key in your new Snapchat username. 5. Follow the instructions on-screen to set up your account. There you have it, the simplest way to change your Snapchat username. It’s not the most convenient way to do things and we still think that you should reconsider keeping your old Snapchat username. Unless you absolutely want to get rid of your old account, you probably are better off keeping your Snapchat account as it is.